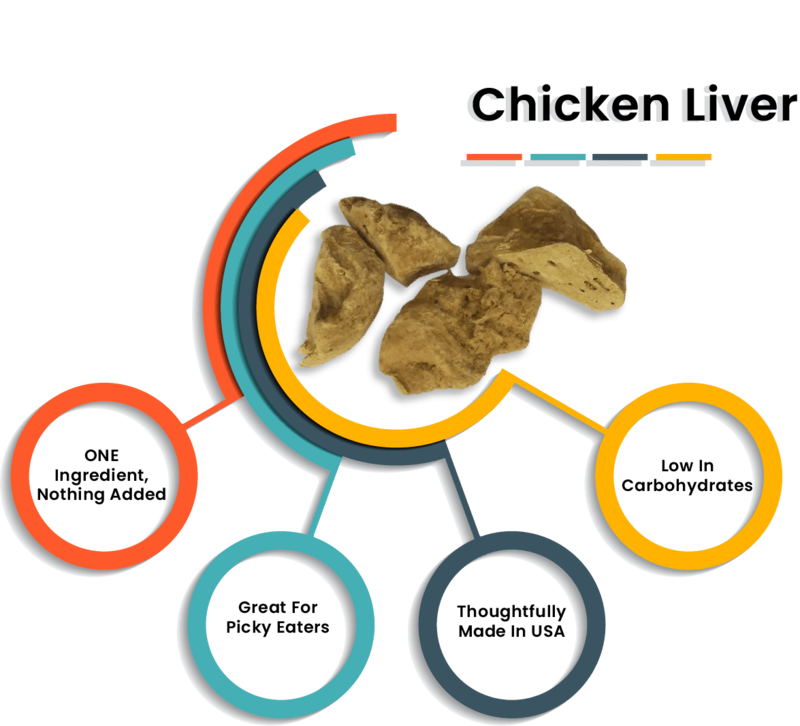 The benefits of Pro-Treat chicken liver treats go beyond great taste. You’ll find just one ingredient in these treats: human-grade, antibiotic-free chicken liver. 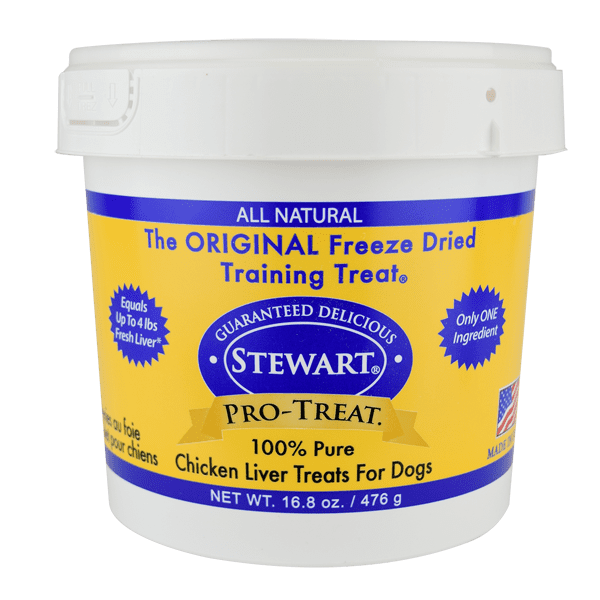 Unlike other treats, Pro-Treats are nutritionally dense and packed with essential vitamin A. We are committed to being your partner in pet parenthood with the highest quality ingredients, delicious treats and expert guidance. Our pure, small-batch, gently processed dog treats help support a healthy digestive system with no genetically modified ingredients. And they’re guaranteed delicious! 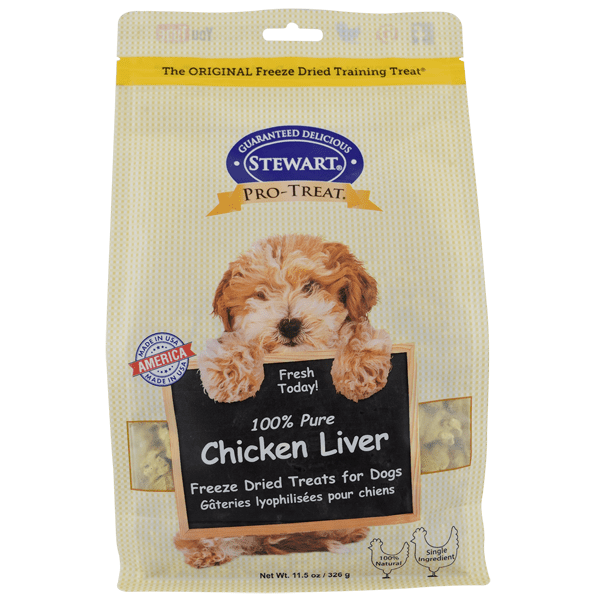 Great tasting, and a favorite of picky eaters, chicken liver treats for dogs are antibiotic free and high in energy. Training and playtime will be even more fun for you and your furry friend when you use Pro-Treat. Preferred by dog trainers, Pro-Treat treats are crazy delicious and maintain dogs’ interest for the long run. When you get out the bucket, watch your dog’s eyes light up. Single protein source: Chicken liver is the only ingredient. Rich source of lean protein for energy. Good for maintaining dogs’ healthy weight. Naturally vitamin rich, high protein and locally sourced. 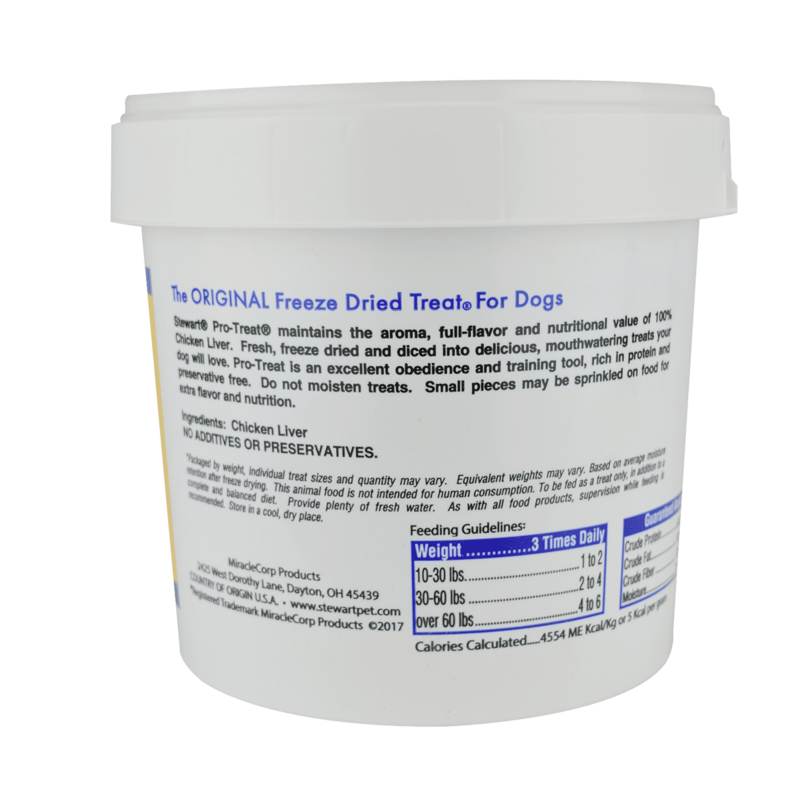 Freeze dried treats are lightweight, shelf stable and flavorful. Nutrient dense to create a high-value treat. No fillers; just the good stuff. Suitable for all stages and ages of dogs. The choice of breeders, groomers and trainers. 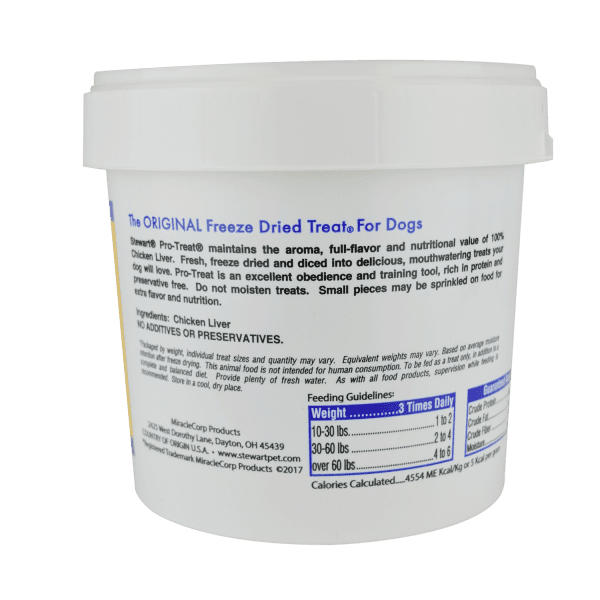 Dehydrated dog treats are long lasting. Manufactured in the USA from local ingredients for your peace of mind and your pet’s safety. 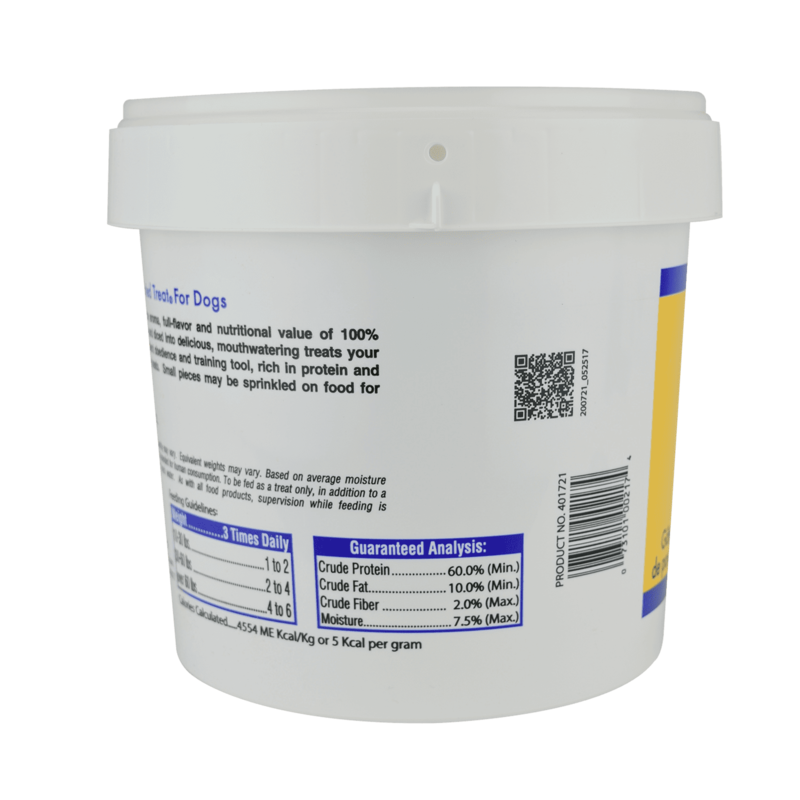 Tub: 1.5oz., 3 oz., 11.5 oz., 16.8 oz. Resealable Pouch: 3oz., 11.5 oz. 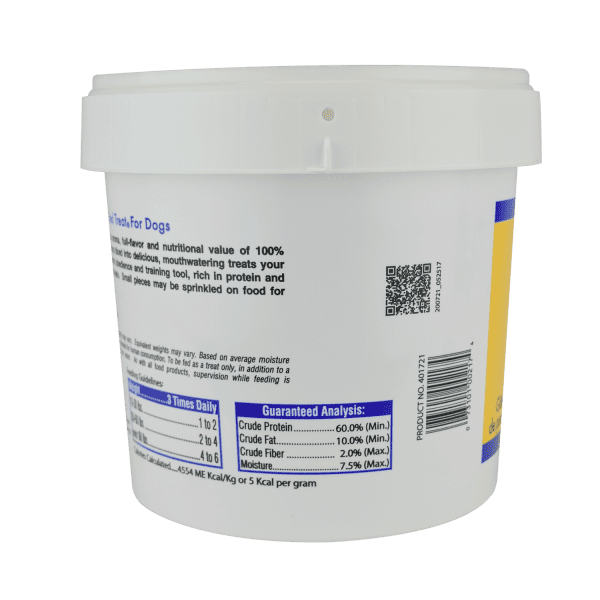 Tub: 3 oz., 11.5 oz., 14.8 oz. Tub: 3 oz.. 16.8 oz.